The Division 2: In-depth Review – Xiled Syndicate, LLC. Have you ever wanted to explore an open world re–creation of Washington D.C. after a global pandemic of catastrophic proportion? Then look no further than The Division 2. The sequel to Ubisoft’s looter shooter The Division sets a new standard for the genre. The pace of combat, the reward for completing the myriad of missions, sub-missions, activities, and exploration is outstanding. After completing a mission by tracking down the boss and filling their mouths full of led, the player is rewarded with loot that feels worth the effort. In other words, this game launched in working condition ready to zap hours of your life away unexpectedly. The sheer volume of interesting things to do is overwhelming at first, but once the player has spent some time inside the game, it becomes easier to manage and understand. The story is lacking in content and this doesn’t detract from the game. The Division 2 story is regurgitated mainstream ideas of the collapse of modern society. The basic story picks up after The Division. The player plays a division agent whose unit has been activated after the release of a biological threat in New York City. There is no cure for the virus. Or is there? The basic breakdown of the story consists of go to Whitehouse in D.C. and find the president if he or she is still alive. Next, find a cure if it exists. All along the journey captured civilians will need saving from the bad guys and JTF will warrant the preservation of the United States and its heritage by any means necessary. The gist of the game is, kill bad guys, find the cure, help the settlements and save the day like a badass. It is nothing new in the way of the story. Contrary to many Tom Clancy games, it does a really bad job at making the player feel an urgency to finish the main missions outside of gaining experience to make it to end game content. Instead, the emphasis is placed on exploring downtown D.C. The Division 2 is lacking in amazing storyline, but this doesn’t take away from the game because looter shooters aren’t story driven games. That means diversity in booty is first. Bar none. But in a close second, the atmosphere in which booty is killed for, and collected is equally as important to this genre. The boys at Ubisoft delivered because the environment is fantastic. The environment of D.C. is remarkably beautiful considering modern society has come to a screeching halt. The people may have reverted to the tribalistic social structures of the stone age, but graphically the game is just beautiful and seemly surreal. Washington D.C.’s landscape is full of overgrown plants. The grass, trees, and flowers that litter the city feel real. A tremendous amount of detail has been put into the landscape. The Mall area and parks look and feel like martial law was declared but failed terribly. Buildings and other structures look decayed, weathered and strangely familiar to real life. The monuments look very lifelike and it feels like a vacation gone bad in D.C. The sound design makes the world feel alive and tangible. For instance, as the wind blows players hear tarps and plants rustling in the background. If you listen closely enough, deer can be heard walking through the streets, bullets whiz by, and explosions can be heard off in the distance signaling a firefight between warring factions. NPC’s conversations are entertaining and the music at safe houses, settlements and the base of operations add a sense of realism making the experience pleasurable. NPC’s acknowledge the existence of the player’s character and enemies shout hatred toward the player making the city feel alive and in constant struggle. The props set placement really adds to the strategy of the cover system employed by the gameplay. This speaks volumes about the pride and integrity the team at Ubisoft put in the game. Overall, the game looks and feels like a live city and replica of the Capital. From the monuments of Abraham Lincoln to the White House itself, Ubisoft has created a well-crafted game environment that promotes and rewards. Washington D.C. has three factions of enemies that exist within the confines of the downtown area. The Hyenas have savagely pilled out thugs that kill for sport and scavenge from dead bodies. Watch out for their rusher, she carries a red satchel filled with pills and a wicked police baton ready to beat any division agent to death. Shooting her satchel causes her pill bottles to explode and spread confusion to her and nearby enemies. Next, are the True Sons; a former military that comes in various archetypes. Make sure to look for red crates or satchels on any enemies because that means they can go boom and die in quite the humorous fashion. The last of the three factions that exist prior to end game content are The Out Casts. The player needs to be mindful of their rusher, he strapped with a bomb and will charge the player on site. One of the most entertaining ways to kill a group of Out Casts is to sneak up just close enough to a group. Then aim for the rusher’s chest and shoot the bomb and watch him go boom. Enjoy the fireworks show as he explodes and kills all the nearby enemies. There are five variants or level of enemies, red being the easiest and gold being the hardened named boss at the end of the side and main missions. These enemies are replaced after completing the main missions by the Black Tusks. These quasi-military mercenaries are equipped with the latest tech and bring the pain down on division agents. All the A.I. feels strong. They try and flank and lay a cover fire for their allies. Even the NPC’s help out in firefights and do damage killing enemies. The enemies are all challenging in their own respective ways. From red to gold the enemies can be unforgiving but always stay focused and look for the weak spots in their armor. Mission content in The Division 2 is well organized and thought out, even the side quest and activities that are available have decent depth to the strategies employed to beat them. The one drawback is they are sort of the same in regard to survive the waves of enemies. They all seem to have this motif about them. 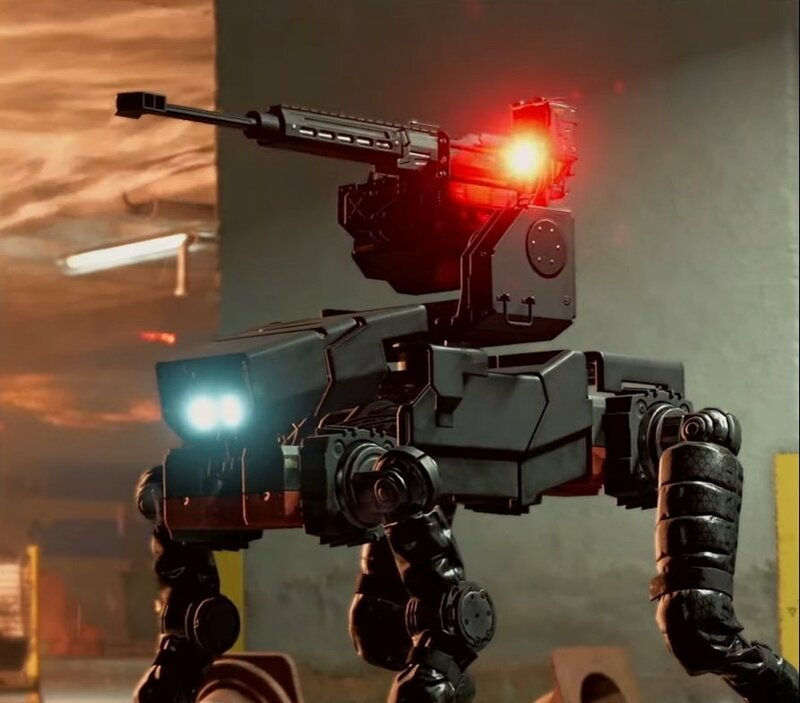 Yet, that is the single drawback to the game because Ubisoft nailed the core gameplay mechanics of shoot, duck, and cover and shoot some more. At the end of a mission, it’s time to collect that loot. All the quests have tons of loot and securing control points throughout D.C. will yield net positive results. Every 24 hours all the control points supply stashes are reset. There are some wonderful missions and rememberable moments and a ton of one-liners that keep the missions interesting and fun. The Division 2 is chalked full of fun and exciting places to visit and copious amounts of enemies to kill with led sandwiches. The reward is experience and booty, lots and lots of treasure. The level progression is where this game falters and stumbles a bit. When a player levels up they get a proficiency cash that has two suitable items of their current level. You also get one point to spend on your special abilities. There is a total of 8 and they range from Hive Bomb with four variants of heal and kill. To drones that act like attack dogs and buzz the enemies while pelting them with a barrage of bullets to the face or healing a fallen comrade in battle. There is the firefly that acts as a scout, a chem launcher that explodes health or armor damage to friends and foes alike. They are a big help in the beginning of the game but after 70 hours of play that I racked up, I find I use them less and less because I can just melt their face off with my Black Market M60 E6. Level progression is fast to 20 and a crawl toward the last 10 levels to 30. Unless you saved the side quest to do once the players reached 20. A note for you readers, want to level fast, do all main missions then go back and do the side missions because they reward around thirty percent of your current levels XP. The Shade Cash Tech points are spent on upgrades to the workbench and abilities. At the workbench, you can unlock more carrying space for items, ammo, armor repair, and weapon upgrades. They are also used to unlock new abilities for all your specials. Yet, the special abilities are really kind of lackluster and really don’t do much. I suggest using the ones that attack the enemies and heal your allies. The loot aka the booty that players receive is where we find the meat and potatoes of the game. There is a ton of loot and every weapon feels unique and special because they all have different bullet spreads, recoil, and sounds. Once the player starts to gain purple loot, it really starts to get interesting because of the slight variation in gear and guns. High-end weapons and gear often have talents that boost the weapons stats tremendously. Make sure you pair up your armor because branding out increases skill powers, weapon damage and critical hit chances to name just a few. In doing this Ubisoft has guaranteed a myriad of player choices, styles, damage output, and even some new shoes. Make sure to search everywhere and anywhere because loot comes in many shapes and sizes. A player might find a case of water, screws or food. They might stumble on electronic components or find steal beams to carry all over Washington Monument or the Mall. Loot is king in this game and the king is the one who has the most loot. This game is meant to be played with people. It can be soloed, yet you lose the core aspect of the game as a live service and that is playing with people. The game is best enjoyed playing with groups of people with the same level as this offers the fairest challenge to the players in the early game. The Dark Zones are the areas of D.C. were the best loot resides. You must be cautious though because this is every man for himself territory and going rogue can reveal your location to all the players in the same server. The high-value loot is only obtainable for use after airlifting the contaminated packages out via helicopter. You must survive waves of enemies and somehow manage to not alert the other players nearby that aren’t your allies. Actually, even your allies can turn on the group in a split second and steal all the booty for themselves. The Division 2 is a perfect masterpiece. The art is brilliant, and the looter shooter genre has been saved by the very company that started it all. Ubisoft took all the shortcomings from the original and learned from their mistakes. The outcome is the second game in the franchise being off the charts prodigious. It also helps that it shipped in working condition and is piled full of things to do and bad guys to kill. There are a few minor issues such as enemies randomly appearing out of thin air in the middle of a battle or during a control point capture. Less frustrating is the occasional headshot not being registered. Other than that, level scaling in DZ is good because it evens out the playing field. Also, when higher level teammates group up with lower level players, it raises everyone level to the group’s highest player. This means a level 8 can play with a level 30, but make sure not to get hit by the enemy because your damage may be increased, but the level 8 blue vest will not protect you long because gear doesn’t scale. This is done to keep The Division 2 entertaining, fun and fair. I personally plan on dumping as many hours as possible into this game with the clan and my buddies. I highly recommend this game to those of you on the fence about it. Group up with your friends’ people because the greater city of Washington D.C. needs your help in defeating the bad guys and rebuilding the country.